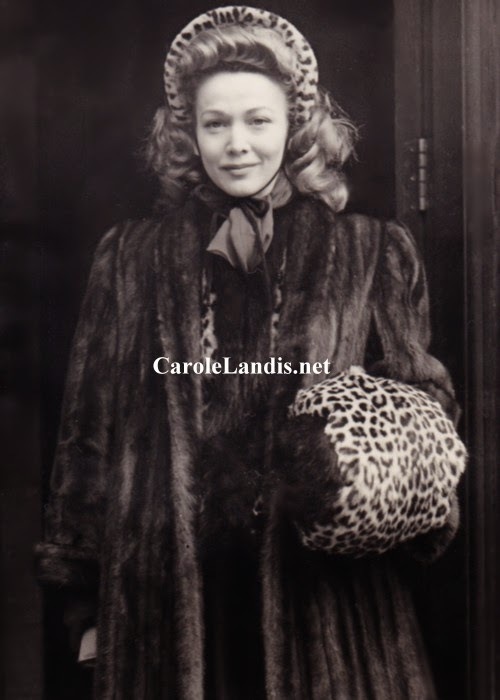 In August of 1947 Carole traveled to London, England to make two movies for Eagle-Lion Studios - Brass Monkey and Noose. 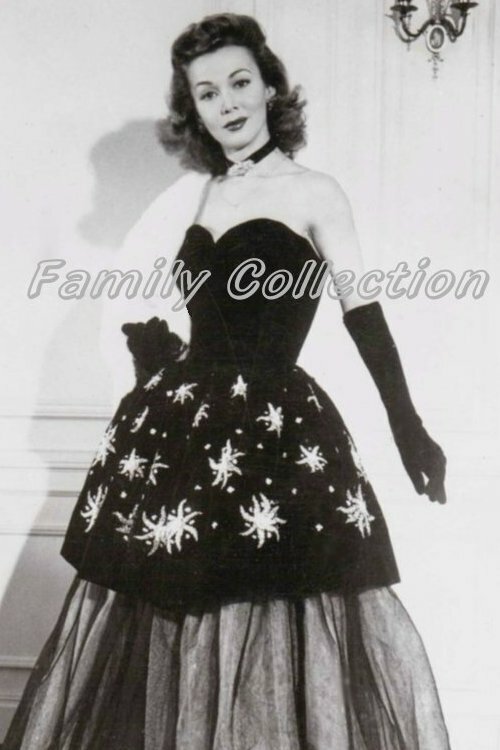 At the time she was unhappily married to her fourth husband Horace Schmidlapp and having an affair with actor Rex Harrison. 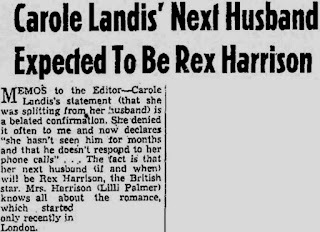 Horace decided to stay in New York City but Rex followed Carole to London. 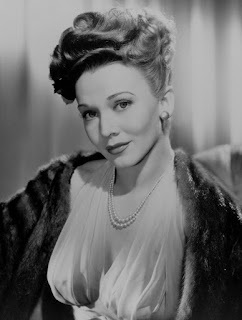 Their affair continued and got more serious even though Rex's wife, Lilli Palmer, came with him. 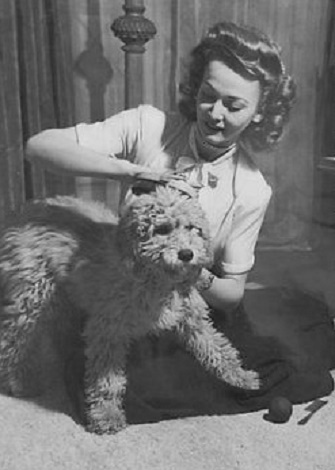 Carole filmed Brass Monkey at Twickenhan Studios and stayed at the Savoy Hotel with her poodle Gina. 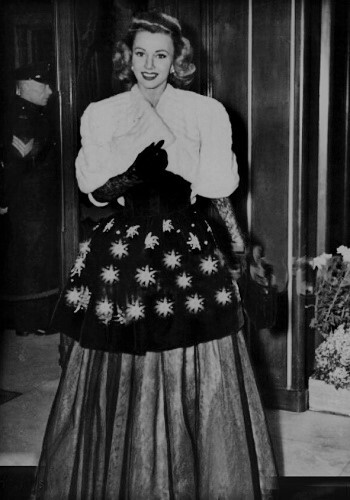 She lived in England for nearly six months and fell in love with the country. 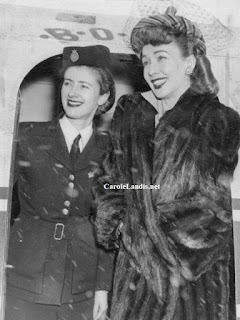 Carole said "I loved England and working there was really stimulating." 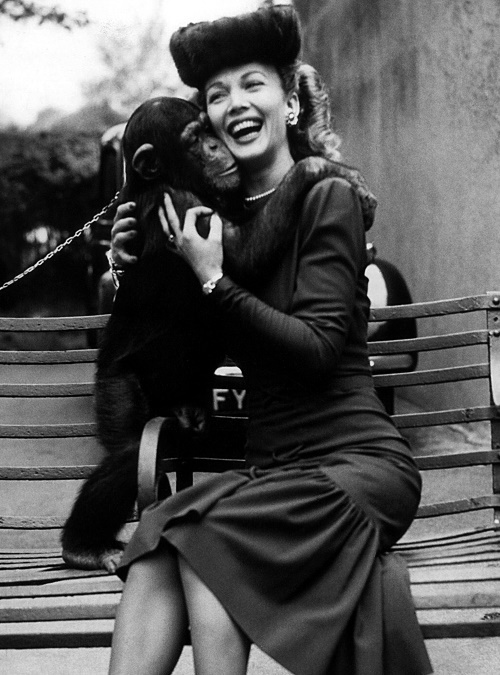 When she wasn't working she attended many parties and visited the London zoo. She also spent time with her close friend Lt. Troy who had been injured during the war. Carole was so busy that during her first two months there she lost eleven pounds. 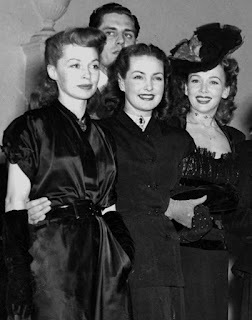 On November 25, 1947 Carole participated in a charity performance of The Bishop's Wife for King George and Queen Elizabeth. After the show she attended a star-studded celebration with Bob Hope, Loretta Young, Patricia Roc, Rex Harrison, and Lilli Palmer. She was not photographed with Harrison but she did pose with Lilli. 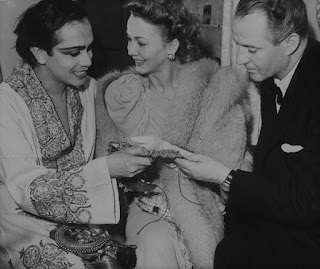 In December of 1947 Carole met dancer Ram Gopal at the Prince's Theater in London. 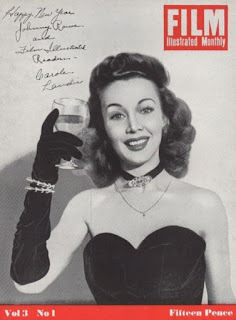 British audiences loved Carole and she was featured on the cover several British film magazines including Film Illustrated Monthly. 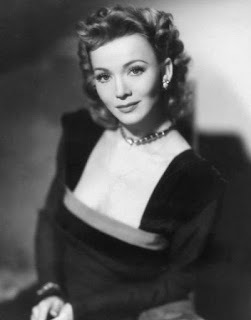 Her husband Horace came to visit her in England but they only spent a few days together. 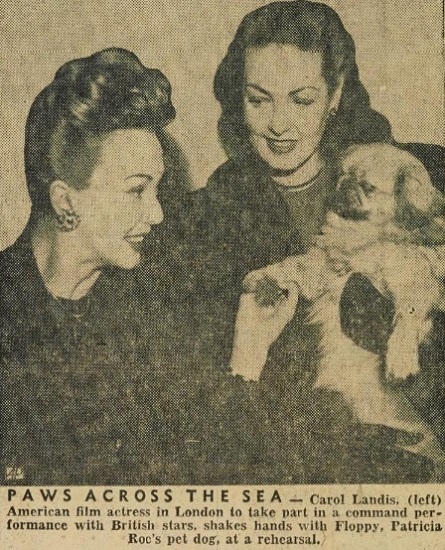 She finished filming Noose in February of 1948 and returned to California. 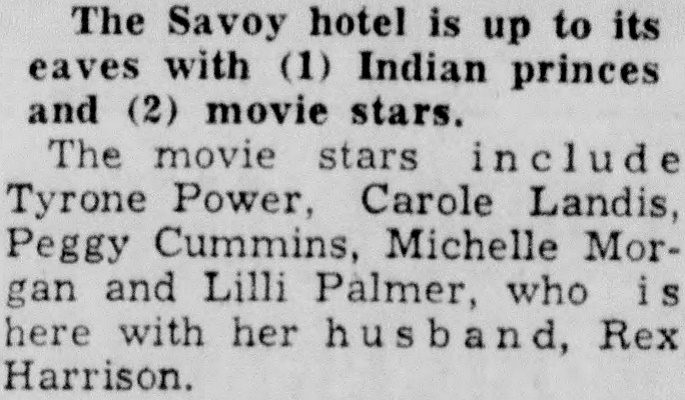 Lana Turner had been renting her Pacific Palisades home while she was away. 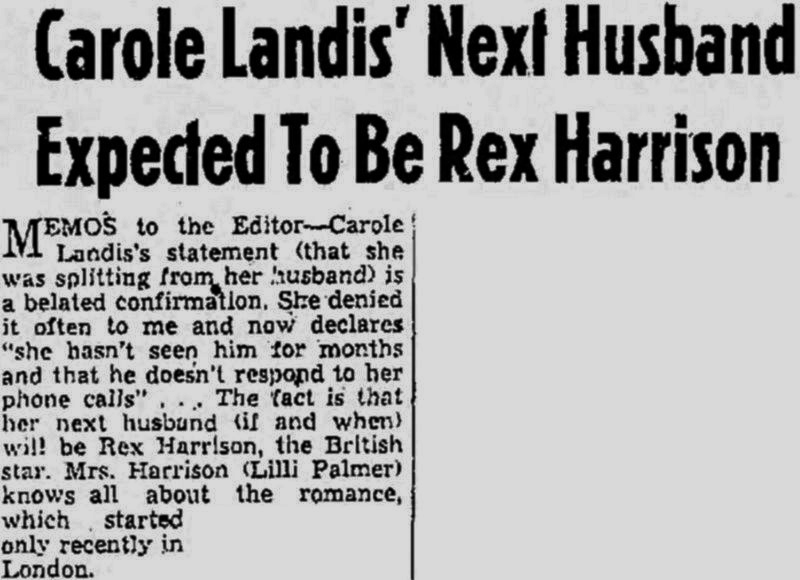 Carole filed for divorce in March and the press began to gossip about her close relationship with Rex. She told her friends that she was returning to England in August to make The Amazing Mr. X. Sadly Carole would take her own life just a few weeks before she was supposed to leave.